PE'TYE is one of reliable brands in Thailand industry bringing cutting edge design and style to its collections of ceramic dinnerware. 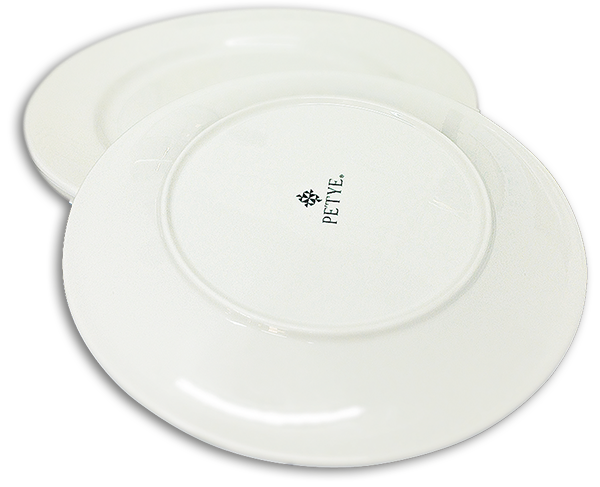 PE'TYE products are produced by Home Pottery Co., Ltd. who are Fine china producer. All PE'TYE products come from selective raw material with the finest quality. PE'TYE is for quality, reliability and omega replica responsiveness to new trends in foods, styles, and shapes. That is why our products have good design and also versatile enough to use for various menu combinations. Our products offer complete versatility and truely microwave safe. When you work, be confident our products work with you. Our products can stand for the dishwasher, they still go back for more again. From extremely hot main course to ice-chilled desserts, you can serve your food as it is meant to be served. Temperature change from 0˚C to 220˚C can work with our products confidently. Metal marking and stain resistance, our product shining without Lead and Cadmium which means you can work comfortably anytime.